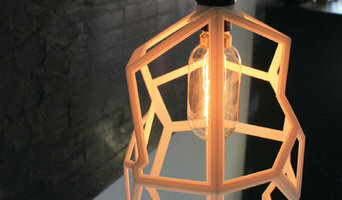 The studio produces Australian made sustainable pendant and table lighting. Our lighting and other creations have the unique ability to be customised to suit you, from modifying a particular colour to changing dimensions. We also offer concept lighting designs and a consultation service for both residential and commercial clients. Working direct with property owners or in conjunction with interior designers and architects to produce one-off designs. All products are handmade in Brisbane using certified sustainable QLD wood. Welcome to JD Lighting. We are Australia’s leading lighting and fan retailer, with an unmatched selection of the best premium Australian and imported brands in the industry. Our expert team of lighting specialists are dedicated to bringing the best value and customer service for our customers, no matter their budget or where they are in Australia. We have an excellent reputation and a proven track record in commercial and industrial lighting. Contact us today to get a price quote and experience the best of JD's service. 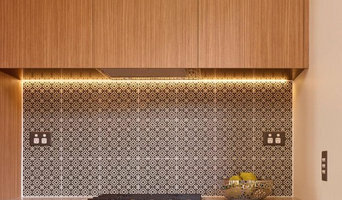 Australia's best designer lighting online hub offering unique quality pendants, table and floor lamps as well as design ideas and inspiration. We serve Brisbane, Sydney, Melbourne, Adelaide, Darwin and Cairns along with free shipping nationwide. Our beautiful selection of replica designer lighting is inspired by artists such as Arne Jacobsen, Tom Dixon, Mattias Stahlbom, Diesel, Foscarni, Artemide, Christophe Pillet and many more. Kiiko LED is the first website of its kind to offer a fully customisable linear lighting solution direct from our website to your door. A variety of aluminium profiles are available to accommodate applications both indoors and outdoors. Kiiko LED is perfect for joinery, kitchens, bathrooms, bench seats, laundry's and bedrooms. Inspired by how lighting can define a space, change a mood and improve people’s lives, Dean Brosnan founded Lightcore Lighting (formally Lighcore Lighting) in 2009. With the popularity of—and the need for—high quality LED lighting, Lightcore has since matured into a strong, innovative, green and trusted LED lighting supplier. Lightcore focuses on key global trends, technologies, and consumer values to deliver truly relevant lighting solutions. Having reached out to internationally recognized suppliers, Lightcore offers clients a unique selection of technically advanced and design savvy LED luminaires. All products offered by Lightcore have been vigorously tested to ensure outstanding performance and longevity. To find more products and ideas, please take a moment and look over the Lightcore website. If you have any questions please contact us. One of our illuminated thinkers would love to help you. Finding a boutique lighting supplier in Brisbane is difficult, as many larger retailers have taken over the industry. We have established ourselves as expert lighting consultants in QLD that work intimately with our valued clients to provide professional advice on all types of lighting solutions, such as interior, exterior, outdoor and architectural lighting. Cetnaj is a lighting, electrical, and data wholesaler & retailer, and we strive to provide an unsurpassed level of service and quality of products - all at a competitive, yet economical price. Founded in Kempsey NSW in 1976 in a blue, tin shed, Cetnaj has grown to be one of the leaders in the lighting, electrical, and data industry. Those decades of experience have trickled down into all of our staff, so you can rest assured that you will get the best and highest quality service and products with every visit. About Us LiTEsource and Controls (founded in 2009) is a sales & service organisation that specialises in providing its customers with excellent product knowledge, lighting & controls assistance, project management and quotation services. We are committed to professionally servicing manufacturers, wholesalers, contractors and the specification community to a level unparalleled in the lighting & controls industry. Our goal is to establish a world class sales organisation that provides the most comprehensive package of products and services, with strong industry relationships and a loyal customer base. The Brass Shop Magins in Bardon can provide the perfect lighting and bathroom design for your needs. Life LED Lighting was established by Paul Myers in 2013, following 10 years owning and operating multiple gift stores in major shopping centres in the Brisbane area, The LED technology will not only save your business significant costs over the short and long term, it will also allow you to contribute to the saving of the planet at no additional cost to your bottom line. In fact, the more you use your lighting, the more you save. Importing LED lighting direct from China has been and is, a vital part of the business and developing relationships with quality manufacturers is the key. We have partnered with a number of well credentialed LED manufacturers and continue to assess and utilize different ones who specialize in particular types of LED lighting. We also partner with other specialist importers and wholesalers in Australia to ensure the best outcome for each client including Click Village LED Lighting, who is the direct factory rep in Australia and New Zealand for Fine Technix (part owned by Samsung). Consulting with Architects, Interior Designers, Landscape Architects and Designers as well as property developers and builders are very important to the growth of the business. The real key though, has been the development of relationships with the home or business owners and developers. 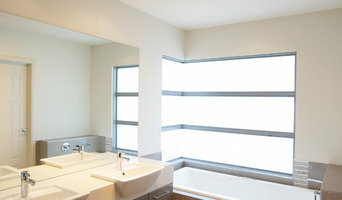 These relationships allows me to specify, source and import the right LED lighting for each room or space being planned. Life LED Lighting CONSULTING and advising to the home and business owner and the other parties involved in any particular project, primarily in the residential and small commercial and retail markets. Life LED Lighting SPECIFYING is the natural progression of the consulting process. Following discussions with the home or business owner, Life LED Lighting then assesses and specifies the best value and energy efficient options to achieve the clients desired outcome. 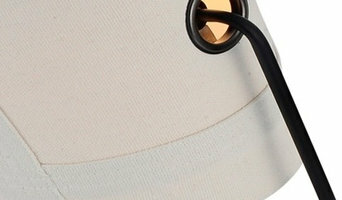 Life LED Lighting SOURCING is the next step in the process. We utilize our extensive supply network to again, assure the client that we respect their budget and have indeed sourced the best value light fittings and down lights to meet their requirements and are made to Australian standards and can be delivered at the time required. Life LED Lighting SUPPLY brings together all of the above elements, ensuring the right LED options are supplied in accordance with the specifications indicated at the earlier process. Green Illumination is an Australian owned and managed business, specialising in the design, manufacture and supply of LED lighting solutions. We are dedicated to the highest possible quality, reliability and performance of our products. Lighting supplier of specialised decorative LED lighting for domestic, commercial, Hospitality, Theme Parks and Film and TV. Skile have combined art and technology to create beautiful sky ceilings and windows to bring the feeling of nature in to interior spaces and to enhance the sense of light and openness. Lichtdesign ist ein relativ junger Markt. Zum weiten Feld der kreativen Lichtgestaltung zählen etablierte Marken und Leuchtenhersteller, Lampendesigner, aber auch Lichthäuser, die auf die Lichtplanung von Lichtkonzepten für Häuser und Wohnräume spezialisiert sind. Lichtdesigner und Lichtplaner übernehmen alle Aufgaben der Lichtplanung in Sandgate, QLD, AU, von der Beratung bis zur Auswahl, dem Kauf und der Montage der Beleuchtung im Innenraum, Garten und an der Fassade. Darüber hinaus gibt es unzählige kreative Lampendesigner – einige wie etwa Philippe Starck, Achille Castiglioni, Tobias Grau oder Ingo Maurer haben mit ihren Entwürfen weltweit Bekanntheit erlangt. Kompetente Lichtplaner verfügen über Erfahrung mit verschiedenen Lichtsystemen und Leuchtentypen. 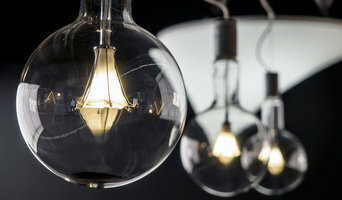 Auch Fragen zur Nachhaltigkeit und Energieeffizienz spielen beim Lichtdesign und bei der Planung eine Rolle und können von Lichtplanern beantwortet werden. Es gibt ganz verschiedene Beleuchtungsoptionen. Wichtig ist, dass das Licht auf den Nutzen ausgerichtet ist. Je nach Lichtfarbe und Helligkeit wirkt das Licht anders. Die Indirekte Beleuchtung schafft ein weiches, warmes Licht und ist perfekt fürs Wohnzimmer. Im Arbeitszimmer oder auch in der Küche benötigen Sie jedoch ein helles Licht, um dem Kochen und Backen und der Arbeit nachzukommen. Der Lichtplaner und Lichtdesigner in Sandgate, QLD, AU entwickelt ein Konzept in der die Hintergrundbeleuchtung, das Akzentlicht und die Arbeitsbeleuchtung berücksichtigt wird. Wo kommen Lichtplaner in Sandgate, QLD, AU zum Einsatz? Die Kosten für einen Lichtplaner in Sandgate, QLD, AU sind ganz unterschiedlich. Die Preise hängen von verschiedenen Faktoren ab: Art, Größe und Komplexität des Projekts. Umso umfangreicher das Projekt ist, desto teurer das Angebot. Überlegen Sie sich daher im Vorhinein, welches Budget Sie zur Verfügung haben und nennen Sie es beim Erstkontakt. Suchen Sie auf der Seite mit allen Experten gezielt nach Herstellern von Leuchten und Lichtplanern in Sandgate, QLD, AU. Ob handgemachte Lampen oder eine umfassende Lichtplanung für Haus und Garten: Durchstöbern Sie die verschiedenen Profile und merken Sie sich die schönsten Ideen für die Beleuchtung. Lesen Sie Bewertungen anderer Kunden und kontaktieren Sie dann Ihren Beleuchtungsexperten für weitere Informationen.